The Leafboard recently launched with its first iteration on Kickstarter, with nearly $240,000 in orders secured that saw the first iteration created and shipped to early adopters. The team at Leafboard took all of the things they learned with the first version and are back with this second generation board, which they have dubbed the Leafboard Plus. 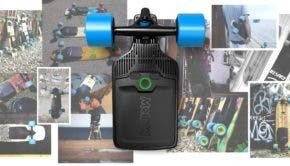 When the team over at Leafboard reached out to us about reviewing what looked like a glorified penny board with a single motor bolted onto it, my 200-pound self was more than a little skeptical. I’ve tested out more than a few small electric skateboards that either didn’t physically hold up to my weight or didn’t have enough power to get me moving at a functional speed. Getting on and actually riding the new and improved Leafboard Plus changed all of that. It’s not a toy, but rather, it’s a full-power electric skateboard that crams an impressive amount of power and range into a tiny, durable form-factor. For starters, the extra thick 17.8mm deck boasts a capacity of 200 kilograms. In archaic pounds, that’s an impressive 440 pounds of capacity which is more than enough for me and all the force I apply to it in all my hours of carving around town. The single high-power motor has more than enough power to move my oversized frame around to where ever I want to go. At first, I wasn’t sure that it was going to cut it, but then I realized that I was only riding around in power level 1 out of 3 possible levels. After bumping it up to level 2 with a quick double tap of the single button on the controller, I was happily zooming along at a very comfortable speed. 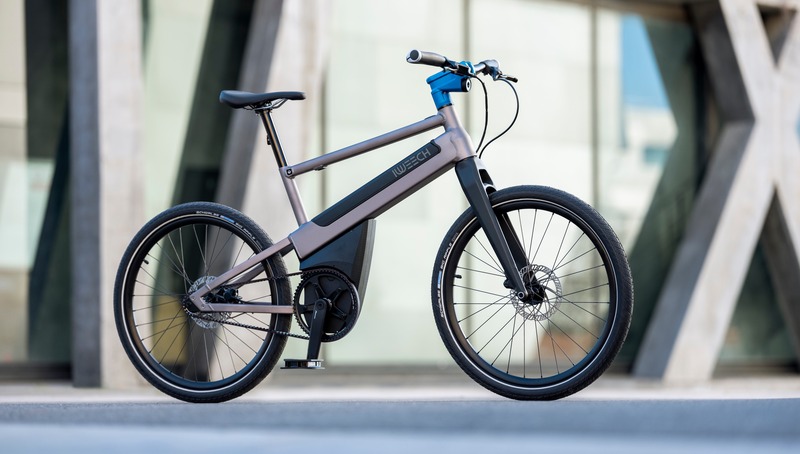 Level 3 takes that up a notch from what they call level 2 — commuting mode — into what I can the fun mode or level 3. Range: Leafboard Pro’s 5,000mAh battery provides for 12.4 miles of range on a single charge. Power: The single high-power motor powering the left rear wheel has enough power to propel the board up to 20 mph with enough torque to move itself and the rider up small hills. 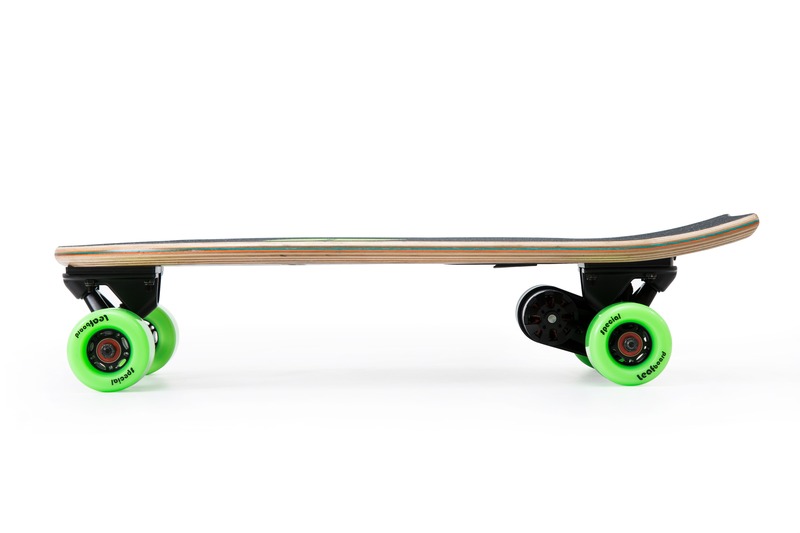 Water Resistant: The board comes with an IP56 rating, which means it can handle damp streets or a little bit of rain…just don’t try throwing it into the harbor if you actually want to ride it again. Regenerative Braking: The Leafboard Pros intelligent braking system not only slows the board down, it also uses regen to slow the board and cranks the power generated back into the battery pack. Robust Remote Connection: This little guy comes with a 2.4GHz wireless remote control that reduces the chances that the remote loses the connection with the board. That doesn’t matter at all until you’re zooming along at 20 miles per hour…then it matters a lot. It also matters at 5 miles per hour. OK, this is important. Losing the ability to control the board is bad and this keeps that from happening. Level 3 did quickly reveal that I didn’t have nearly enough board for my oversized feet as I found myself hanging my toes off the front to maximize my stability on the board. If I had my drothers, I would also slap some wider trucks on this thing with some softer wheels to maximize traction. That’s not to say that what it comes with are incapable…I’m just used to longboards that have more stable footprints. Regarding the size of the board, the Leafboard Pro comes in at 25 inches long by 9.5 inches wide, which tapers off at the nose and at the raised kick tail. It’s a nice format that allows normal sized people all the way up to the likes of me to ride on a single board. I’d personally still like a little bit more board to work with, but am still able to have a ton of fun on it. The new Leafboard Plus also comes with a modular design comprised of 4 detachable modules including the deck itself, the battery pack, the control module and the motor. This allows owners to swap out, replace or upgrade a single module at a time as technology improves or different functionality is required. As a special bonus, the board also includes an integrated USB port that lets owners tap into its battery to charge up their devices. That’s a pretty cool feature for an electric skateboard and something I would love to see on other boards as it makes it that much more functional. To learn more or to pre order the Leafboard Plus, head on over to the Kickstarter for the new Leafboard Plus to get one of the early bird deals.